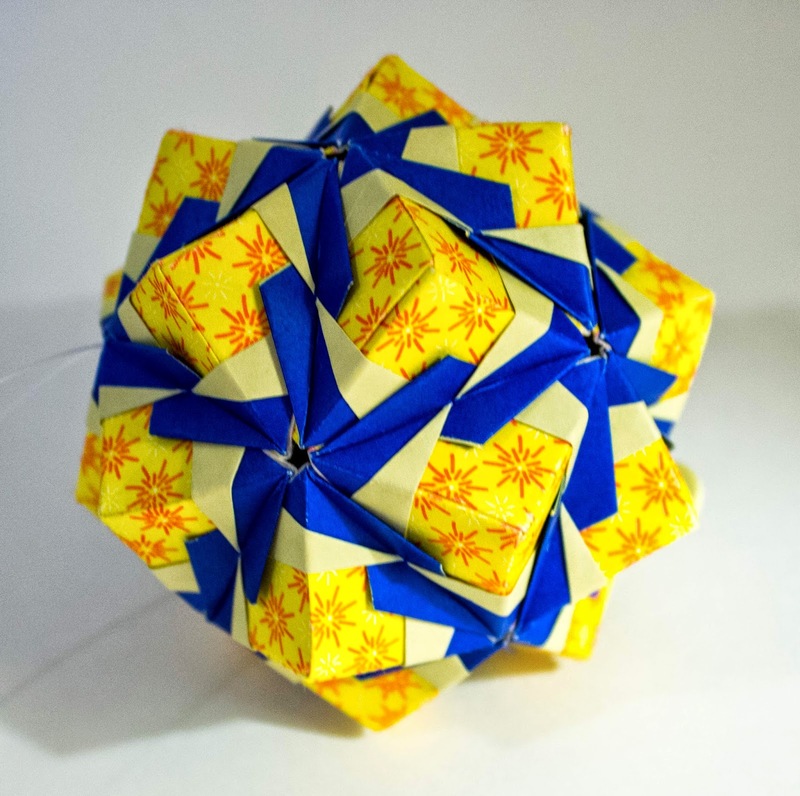 The diagram for this model can be found in Tomoko Fuse's book Floral Origami Globes. 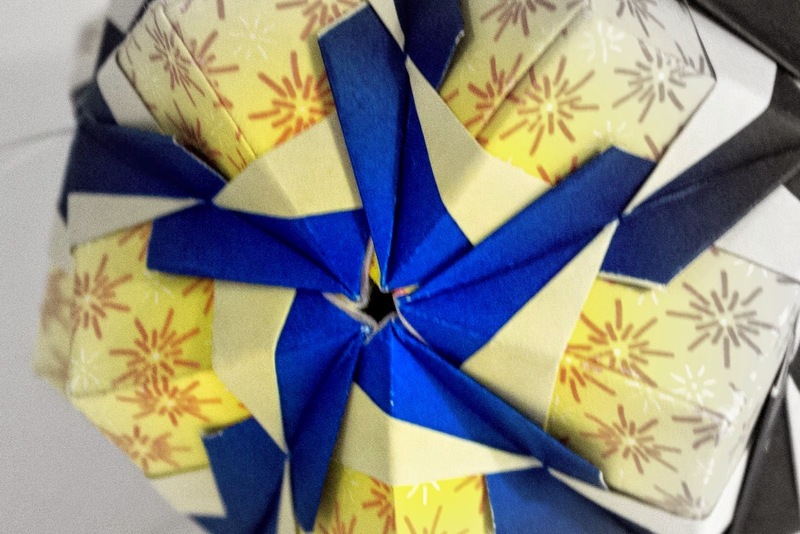 It is made with 30 units of chiyogami paper interlocked with 30 units of two-sided origami paper. All units are 1 1/2 by 3 inch sized paper. The finished model is about 2 inches.